The best demonstrations of technology inspire us, not simply because of what technology can do, but because of what people can do with the know-how to improve their lives and communities. Solutions to many of our most pressing challenges are being built on the web. Yet, as billions of new users come online, how many of those digital newcomers will have the agency to use the web as a shared platform for building solutions that matter in their lives? As the role of the web increases, there is promise for all who can wield its power, but peril for those who can’t. We see this globally in the Arab Spring and the uprising in Ferguson. Both suggest the power of web as a platform for mobilizing people, but beyond using the web as a social media tool, how many people also have the web literacy needed to create the sustained solutions through which revolutionary moments produce lasting impacts? Locally, while Hive Chicago has been connecting highly engaged teens with opportunities to make real contributions to our shared work — stay tuned for upcoming blog posts from teens themselves — we know that still too many other teens are just barely managing to get by with low levels of technology access and skills, some of them trying to write their school papers on their cell phones. If the technology revolution only happens for families that already have money and education, then it’s not really a revolution. That’s why Mozilla is hard at work on a strategic plan — Mozilla Learning — that has positioned universal web literacy at its core. Web literacy is the ability to read, write and participate on the web. Universal web literacy makes clear that it’s for everyone. To get to universal web literacy, we’re going to need leaders. Mozilla Learning places high value on the support and development of leaders. 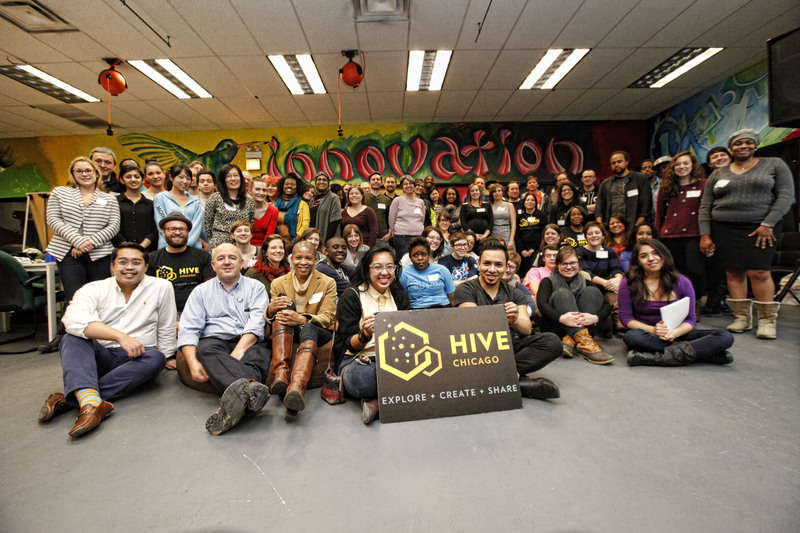 Hive Chicago educators and youth at the January 2015 hack day where many Moonshot solutions were born. Read more at hivechicagobuzz.org. 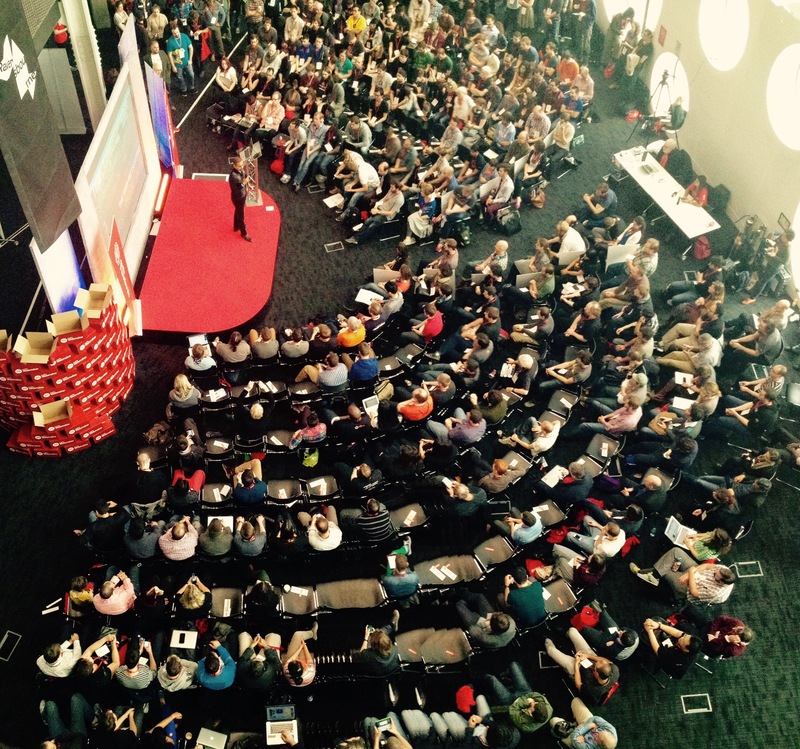 What do web literacy leaders do? Web literacy leaders are people who equip others to advance their lives on the web. Their leadership exemplifies both the open practices and the mechanics of the web. Wherever you look across Mozilla’s many leadership development efforts — whether through fellowship programs like those in Mozilla Science or Open News, or in global convenings like MozFest, or through local professional learning communities like Hive Learning Networks — Mozilla supports a global network of leaders who demonstrate what the web can do. Network members have identified six issue areas with calls to action — Moonshots — that exemplify full participation on the web through an open-source approach to collective problem solving in education. Moonshots are crowd-sourced and co-created by an engaged community of educators, and are hosted in online repositories and web pages. Hive’s Teacher PD Calendar — led by members of the School-Hive Moonshot group — is making visible the shared professional development offerings of Hive Chicago’s 64 member organizations. Check out this page they put together about how to build this kind of calendar site yourself. Hive Interoperability and Portability Coalition — led by members of the Onramps Moonshot Group — is creating systems for interoperability and data portability between online learning platforms in Chicago to make lifelong learning more visible and program opportunities more accessible. Regenerate Chicago Neighborhoods gives teachers the tools to enable young learners to identify issues in their neighborhoods and leverage the web to build community support and make civic impact. The web app RideW/Me is being developed by a team of youth and adult leaders — including folks from the Transportation Moonshot group — who are giving teens safe ways to overcome transportation barriers that limit their participation in youth programs. Read some of the press here. Each example makes clear that our focus on web literacy isn’t exclusively about the tools of the web but about what those tools empower people to do. And beyond Hive Chicago, the annual Mozilla Festival in London continues to inspire leaders — several traveling from Chicago — to engage and learn on a global scale in ways that produces still more avenues for full participation on the web. As a global public resource, the web has become an essential platform for progress with universal web literacy as the prerequisite to supporting the most inclusive forms of participation and agency in our increasingly digital lives. While it may be true that not all leaders will be compelled to advocate for and defend the open web as a global public resource, none of them will succeed without the ability to effectively leverage that resource. This first post is a call to action. Above I highlight how reading, writing and participation on the web are already being advanced by the work of Hive Chicago members through support of the Hive Chicago Fund for Connected Learning at the Chicago Community Trust. In my next post I will say more about what exactly we mean by the “the web” (as opposed to the Internet) and how a focus on web literacy relates to values and frameworks we already embrace, such as connected learning. The web has already become a platform of the next generation, and leaders are solutionaries building on that platform. We are looking for more educators and learners who want to be leaders who not only establish the foundation of universal web literacy, but who inspire us all to demonstrate what people can do when empowered and inspired by the best uses of the web as a platform for solutions. Join our piece of the human web at Hive Chicago’s monthly meetups of our learning network leaders through discussion groups and project teams. The Next Meetup is Thursday, September 17, 9am-12pm.